The 2015 Agreement on the Resolution of the Conflict in the Republic of South Sudan (ARCSS) identifies security sector reform (SSR) as one of the most crucial issues that need to be addressed if South Sudan is to attain peace. The prioritization given to SSR in the ARCSS is illustrated by the fact that it comes immediately after the provisions relating to the establishment of the Transitional Government of National Unity (TGoNU). As a building block to SSR, the ARCSS mandates a Strategic Defence and Security Review (SDSR) to be undertaken by a multistakeholder Strategic Defence and Security Review Board (SDSRB).1 The SDSR process should generate a comprehensive SSR framework, which when implemented, will radically transform the security sector in South Sudan. Due to the instability in the TGoNU, including the resumption of armed conflict in July 2016 and repeated breaches of ceasefire agreements, the actors mandated to lead the process of developing a reform blueprint have not made meaningful progress. The questions that arise, therefore, are: What will it take to realize substantive reforms that result in stability? How should challenges that bedeviled past reform efforts inform the SDSR and SSR in general? To institute a process through which an able, effective, and accountable security sector can be built to engender lasting stability in South Sudan, one must grapple with a range of challenges associated with the political environment in which the proposed SDSR would unfold. SSR refers to the provision of state and human security within a framework of democratic governance.2 It institutionalizes the purpose, roles, and responsibilities of security sector actors vis-à-vis civilian authorities and citizens within a sovereign democratic state. Put simply, SSR is a process that aims to structure a state’s security services in a way that best meets the security needs of citizens and the state. While this policy bought the country a modicum of peace and political stability in the interwar period (2005-2013), it came at a high price. It squandered an opportunity for reform and weakened force cohesion and professionalism. The continuing divisions between the different elements of the security sector subsequently contributed to the outbreak of civil war following the political crisis within the Sudan People’s Liberation Movement (SPLM) party in December 2013. Rewarding rebel leaders created an endless cycle of rebellion by incentivizing the spoilers of peace. It was often the case that, when inadequately catered to by amnesty deals, groups would splinter, creating a new pool of armed actors to be accommodated. 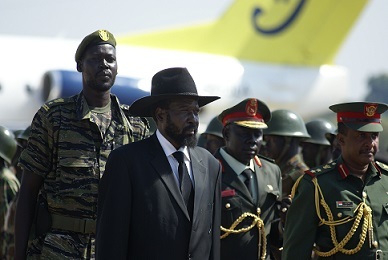 At the time of attaining independence in 2011, South Sudan’s security sector was bloated. The integration of the different militias (also called the Other Armed Groups or OAGs) into the SPLA ballooned force numbers to an estimated 207,000 combatants.7 This measure distorted the SPLA’s force structure, with a large number of generals. It also ballooned the defense budget, with estimates placing the proportion of the defense budget at 50 percent of national revenues. Military expenditures left the new government unable to invest in social and development programs, which further complicated the security situation. The 2008 White Paper on Defence, which aimed to restructure the SPLA into a professional force subordinate to civilian authority, was derailed by successive outbreaks of violence, notably in Jonglei in 2012 and the civil war in 2013. Under the CPA’s Disarmament, Demobilization, and Reintegration program (CPA-DDR), both the Sudan Armed Forces (SAF) and SPLA were to be downsized by 90,000 personnel each.8 However, by the time the United Nations-sponsored CPA-DDR closed in December 2011, “not much had been achieved.”9 The CPA-DDR fell far short of its targets because neither party was prepared to reduce force numbers when conflict still loomed large. The SDSR envisioned in the ARCSS was supposed to lay the groundwork for reform of the security sector in South Sudan through the establishment of a security sector transformation framework. The SDSR was to be conducted by multistakeholder entities grouped under the SDSRB consisting of: four persons each from the warring parties—SPLM-In Government (SPLM-IG) and SPLM-In Opposition (SPLM-IO); two from former detainees; two from opposition political parties; and one each from faith-based leaders, the opposition in the National Legislative Assembly (NLA), independents in the NLA, eminent personalities, academia, women, youth, and civil society organizations. Taken together, these activities constituted the security sector transformation framework. The timelines for the conduct of SDSR were not respected because of the delayed return to Juba of SPLM-IO leadership after the signing of the ARCSS and the resumption of fighting in Juba in July 2016 which saw the expulsion of SPLM-IO, the main cosigner to the ARCSS. Beyond the ongoing conflict, there are several challenges that SSR efforts would need to overcome in order to gain traction. First, the near total absence of the rule of law and the resultant lack of confidence in security institutions poses multiple challenges for disarmament efforts. The failure of past SSR efforts is due, in part, to cyclical violence that make it difficult for armed elements to believe they can be safe without their guns. Due to the militarization of public life, bearing arms in South Sudan secures goods and gives voice. Arms are a pathway to assert local influence and garner access to wealth and prestige.16 It is telling that the Chairman of the Joint Monitoring and Evaluation Commission (JMEC), Festus Mogae, has decried the prevailing view among armed parties that SSR is “a threat to be resisted.”17 Under the prevailing conditions, it is extremely difficult to expect belligerents to trust any action that denies them what they see as a source of security and livelihood. Thus, winning the confidence and trust of armed groups that all will be well when they hand over their guns—a prerequisite for effective SSR—must be addressed by the SDSR process. Second, reform of the security sector requires military structures to be accountable to civilians. In South Sudan, to say that the security forces are under civilian authority is an aberration. The distinction between civilian and military authority has never existed. Most political elites with any influence on security policy have a background in the military. The ruling SPLM has not been so much a political party with a military wing as the SPLA has been a military force with a political party. Long term stability in South Sudan is dependent on decoupling politics and the military. In addition, civil society and the media, which would normally provide oversight of the security sector, are weak, hamstrung by the application of laws that restrict their activities. The sense of entitlement among certain SPLM members—the idea that those who fought for liberation are entitled to rule undisturbed or “deserve the first bite of the cherry”—serves to delegitimize voices of accountability and to silence citizens. Lastly, the continuation of the armed conflict and the proliferation of armed groups not only makes it difficult to conduct a comprehensive strategic security review but also deepens the DDR challenge to be surmounted post-conflict. In addition to the SPLA-IO, there are now at least two dozen armed formations active in South Sudan as the conflict has spread from the original theaters to other parts of the country post-July 2016. The resignation and declaration of rebellion against the government of several high ranking military officers such as the SPLA Deputy Chief of General Staff for Logistics, the SPLA Head of Military Courts, the SPLA Director of Military Justice, the SPLA Logistics Support Brigade Commander, as well as former Chief of General Staff Paul Malong, signal further factionalization that will need to be overcome. It is understood that a cessation of hostilities and some measure of political will is required before genuine reform of the security sector can be initiated in South Sudan. Recognizing this, the government of South Sudan and its opponents, with the help of all well-meaning people and entities, should prioritize building on some of the promising elements for reforming the security sector captured in the ARCSS. Review the previous DDR and SSR initiatives to identify the reasons why they were ineffective. This will inform the current SDSR initiative so that it can be a success. Rejuvenate the SDSRB that is tasked with conducting the SDSR. This will require revisiting the selection of board members so that it is seen as legitimate, capable, and representative of the diversity of stakeholders whose interests must be considered. Similarly, a new timeframe and clear budgetary support must be identified so that the SDSRB can launch into its review as soon as the opportunity arises. Phillip Kasaija Apuuli is an Associate Professor of Political Science at Makerere University in Kampala, Uganda. ⇑ See Chapter II, Part 6, Agreement on the Resolution of the Conflict in the Republic of South Sudan, August 17, 2015. ⇑ Tahani Mustafa, “Insecurity through Security Sector Reform,” Ethnopolitics Papers 5, no. 36 (2015), 2. ⇑ Sarah Detzner, “Modern post-conflict security sector reform in Africa: patterns of success and failure,” African Security Review 26, no. 2 (2017), 118. ⇑ Alex de Waal, “What went wrong,” The Cipher Brief, August 3, 2016. ⇑ See Annexure I: Permanent Ceasefire and Security Arrangements Implementation Modalities and Appendices, The Comprehensive Peace Agreement between The Government of the Republic of The Sudan and The Sudan People’s Liberation Movement/Sudan People’s Liberation Army, December 31, 2004. ⇑ Richard Rands, “In Need of Review: SPLA Transformation in 2006–10 and Beyond,” HSBA Working Paper No. 23 (Geneva: Small Arms Survey, 2010), 10. ⇑ Keith Krause, “Reforming the security sector and rule of law: the hidden transcripts of local resistance,” in Peacebuilding in Crisis: Rethinking paradigms and practices of transnational cooperation, eds. Tobias Debiel, Thomas Held, and Ulrich Schneckener (London: Routledge, 2016), 163. ⇑ African Union, “Final Report of the African Union Commission of Inquiry on South Sudan” (Addis Ababa: AU, 2015), para. 200. ⇑ Jairo Munive, “Disarmament, Demobilization and Reintegration in South Sudan: The Limits of Conventional Peace and Security Templates,” DIIS Report No. 7 (Copenhagen: Danish Institute for International Studies, 2013), 30. ⇑ African Union, para. 206. ⇑ African Union, paras. 208-209. ⇑ Matthew LeRiche, “Security Sector Reform in South Sudan and prospects for peace,” Centre for Security Governance, June 3, 2015. ⇑ Festus G. Mogae, “Opening Statement as Delivered by H.E. 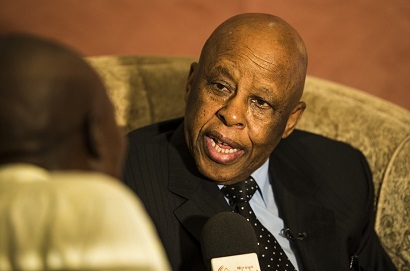 Festus G. Mogae, Chairperson of JMEC,” (speech delivered during the Plenary Meeting of the Joint Monitoring and Evaluation Commission, Juba, South Sudan, January, 12, 2016), 6.